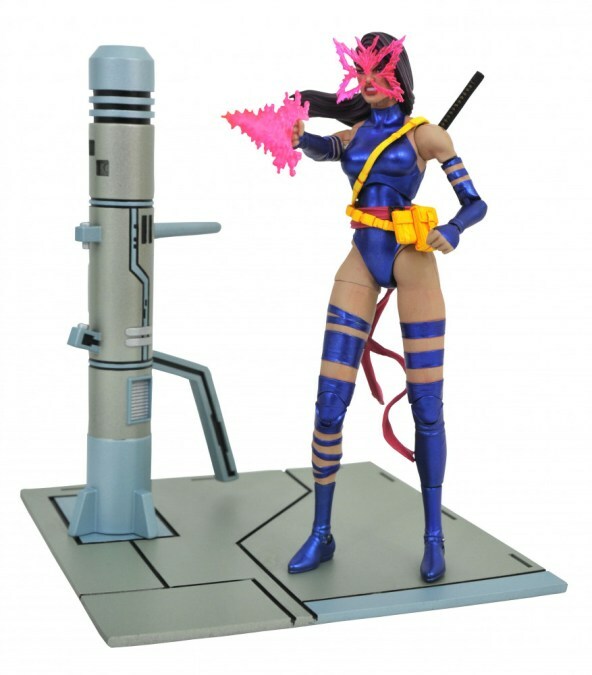 Just last night Diamond Select revealed that Psylocke will be joining their Marvel Select X-Men team. 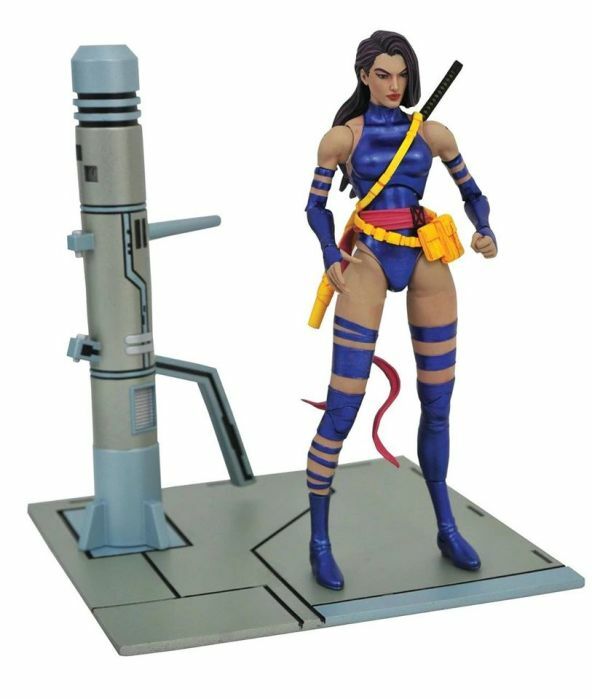 This is completely unexpected as only late last year Diamond Select revealed Rouge so we didn’t even know Psylocke was coming. I have to say the figure looks absolutely fantastic. I have just got my hands on the Marvel Legends figure and I have to say this version looks even better. Though her legs do look a bit long, though as this is a sample it could change before the figure gets released this June. Though it isn’t a must for me as I really want it anyway. As you can see Psylocke comes with her katana, alternate head, alternate hand, psychic knife effect, and butterfly face effect. Along with a Danger Room base. I really love the sculpt and paint on this figure especially the sheen to her bodysuit looks great and you can see that wraps aren’t just painted on but sculpted. 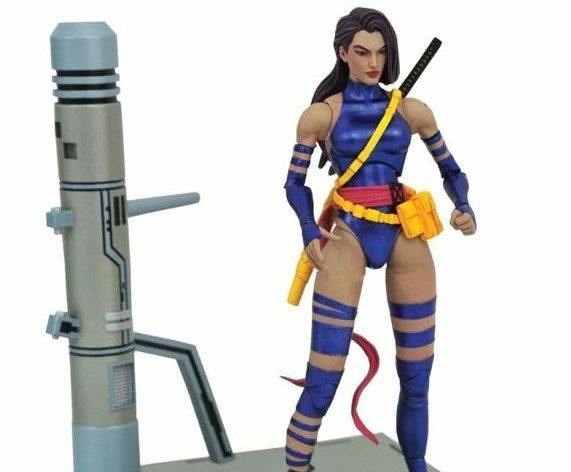 This figure is a must-have if your a fan of Diamond Selects Marvel Select X-Men figures.